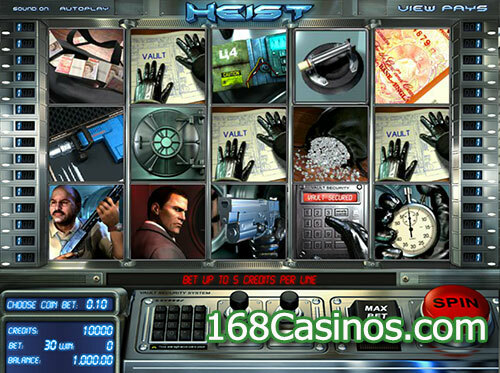 Heist Slot is precisely a five reels with three row online slot that offers thirty paylines betting options and not to forget it is a product of Betsoft hence expect true three dimensional visuals that create an immensely memorable experience every time you hit the Spin. Talking about its home screen and what resides in there, first of all let us have a clap for the developer who encapsulated a difficult theme on reel canvas. The screen space looks like to be the control penal of some kind of computerized lab with a big reel matrix at the center and at bottom we have all the navigational options offering easy to navigate options for players. Since visuals of the slot are three dimensional, you can feel like living the life of Heist who happens to be hero of the slot. Before we proceed with the game to know more about its gameplay, we should have a look at its wagering requirements like how much we should be having with us to start rolling its reels and if it has anything attractive for high rollers. First of all this is a penny slot which means anyone having even a penny in his bankroll can start rolling the reels and coin range is also so designed to offer equal opportunity to each player irrespective of his bankroll. You can start with coins valued as low as just two cents which can be as high as one dollar each that makes your minimum and maximum bet to the tune of thirty cents and seventy five dollars. 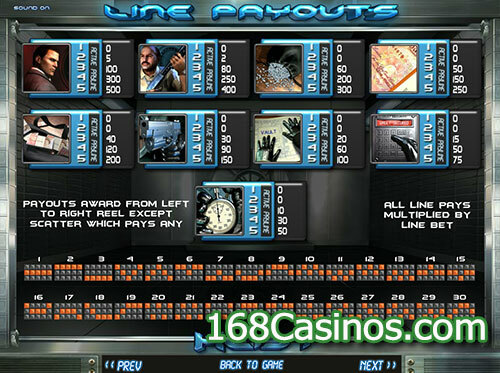 This range suffices the needs of a large section of slot players who want to enjoy the slot. Anyways, if you are agreed on its wagering terms and want to play it for real money, start picking the base options like how many lines you would like to bet upon along with coins and their value. 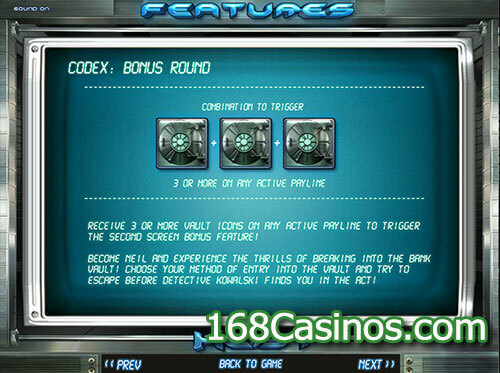 Once done hit the Spin and reels will start rolling to offer your final screen in few seconds. 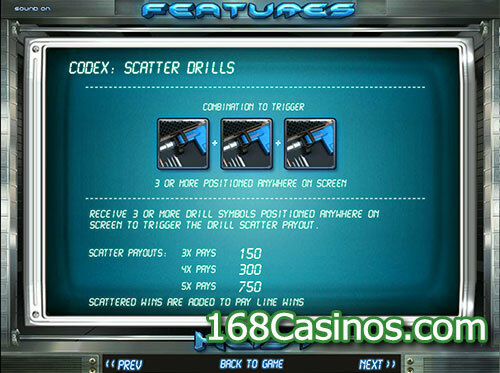 To make each of its spins equally alluring than other similar slots available in the market, developer has added several interesting bonus rounds like Glass Cutter Bonus which is triggered on having three or more of the glass cutter symbols anywhere in view and you will be asked to play a picking game. 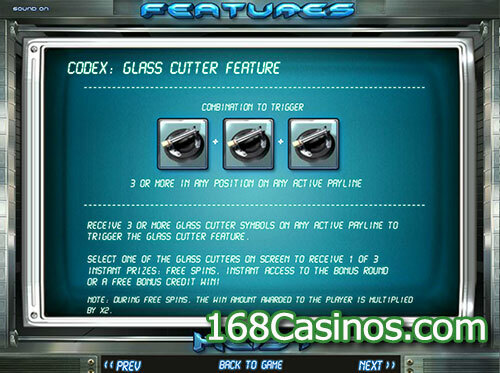 In this game you need to select one of the glass cutters shown to receive some free spins, a cash prize, or entry to the bonus round. 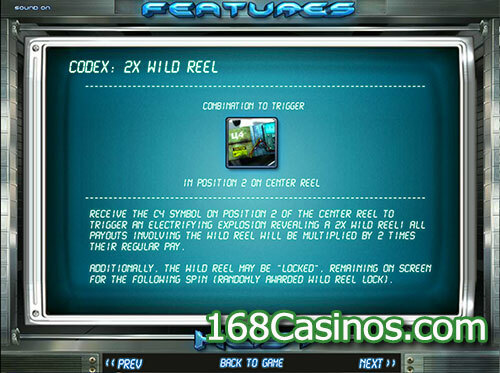 To make players win more and more there is a 2x Wild Reel which is the reel three and if you have C4 explosive symbol on this reel, it will make whole reel wild and all payouts will then be paid with a 2x multiplier. Similarly, there is a Vault Bonus Round which is triggered if you have three of the vault symbols on an active payline and herein you need to help Neil navigate his way through the bank’s security system.